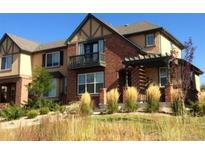 Below you can view all the homes for sale in the Lowry subdivision located in Denver Colorado. Listings in Lowry are updated daily from data we receive from the Denver multiple listing service. To learn more about any of these homes or to receive custom notifications when a new property is listed for sale in Lowry, give us a call at 720-729-2320. Ideal location, nearby fantastic parks and lots of amenities! MLS#9049900. Atlas Real Estate Group. All appliances included: 50 gal water heater-2018, AC & furnace-2018, Roof-2017, Washer & Dryer- 2018 MLS#6691474. LIV Sotheby's International Realty. Every unit in the building is unique, and unit 1D stands out w/ its exceptional space, finishes, & extraordinary outdoor space. MLS#6348423. Kentwood Real Estate Cherry Creek. Be entertained by all that Lowry has to offer - Lowry Town Center, Dining District, walking/biking trails, parks, shopping, coffee shops...one of the hottest spots in Denver!! ! MLS#2730218. RE/MAX Alliance. Chic, stylish basemen: inviting open area, impressive wall to floor stone fireplace & hearth surrounding TV. Bar w/wine cooler, refrig MLS#6703488. LIV Sotheby's International Realty. This is easy, fabulous living. You will love living here. MLS#6945405. LIV Sotheby's International Realty. Easy access to downtown, Cherry Creek, etc. Walk to many amenities. MLS#3653854. RE/MAX Leaders. Incredible finishes throughout, such as built-ins and art niches galore, dramatic arched entryways and soaring ceilings, elegant lighting and paint, butler’s pantry, high-end stainless-steel appliances including double oven and electric cooktop, rare 3/4 bath on the main level, mud room with hip barn door, perfectly finished basement, peaceful secluded back yard and inviting front veranda for enjoying serene Colorado weather... the list goes on with no detail overlooked! MLS#2729974. RE/MAX Cherry Creek. The full finished basement has an additional bedroom, bathroom and rec room which is large and inviting as well. MLS#4061598. Kentwood Real Estate Cherry Creek. Luxury living in this well-maintained, highly upgraded home; Tray Ceiling in Master, En-Suite 5 piece bath with over sized soaking tub, private water closet and spacious walk-in closet, Gourmet kitchen with upgraded Stainless Steel Appliances, Double Oven/Microwave, Quartz Sink, Back Splash, Stainless Vent Hood over Gas Cooktop, Pre-Wired for Home Theatre and Security, Gas Fireplace in the Living room with Alder Mantel, Outdoor Courtyard with Masonry Fireplace and Convenient access to the Kitchen and Dining Room. MLS#3740201. PERRY & CO. Your best life is here waiting for you! MLS#4091436. Spaces Real Estate. Join the fabulous Lowry community, with close proximity to schools, Great Lawn Park and Lowry Sports Complex Park! MLS#4612422. Atlas Real Estate Group. Lowry is a coveted oasis for family-living within the Denver Metro Area and is less than 7 miles from Downtown Denver! MLS#9835368. RE/MAX Cherry Creek. Enjoy nice views & premier accessibility to parks, trails, golf course, retail, restaurants & so much more! MLS#6883017. RE/MAX Cherry Creek. Showings Start Friday - April 5th, Open House Saturday April 6th MLS#3944865. Resident Realty. Finished Three Car Attached Garage Is Insulated & Heated With Work Bench Included. MLS#2988128. Kentwood Real Estate Cherry Creek. Don't wait, call to schedule your showing today! MLS#8611752. eXp Realty, LLC. Move right in & enjoy the Denver lifestyle! Quick Possession! MLS#7182104. TJC REAL ESTATE. The third level offers a spacious master bedroom & en-suite bathroom and includes vaulted ceilings, ceiling fan & large walk-in closet. MLS#6162182. COLDWELL BANKER RESIDENTIAL 24. Too many upgrades and selling features to list. Come see this home today! MLS#8186086. LIV Sotheby's International Realty. 3rd bedroom is a non-conforming office without a closet. MLS#7919093. 8z Real Estate. YOU WILL NOT FIND ANOTHER SINGLE FAMILY HOME UNDER 500K in the area ! MLS#5568688. Realty One Group Premier Colorado. Location, location, location with 2 garage spaces right next to your unit door! MLS#3155469. RE/MAX Cherry Creek. Call now to schedule your personal showing! MLS#9087839. TRELORA. A short drive to Cherry Creek Mall, Downtown Denver and DTC. MLS#3115614. KENTWOOD REAL ESTATE DTC, LLC.